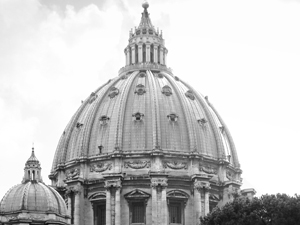 You are here: Home » Featured » Should the World Powers Embrace the Vatican’s Financial Outline? Should the World Powers Embrace the Vatican’s Financial Outline? In a concise and factual analysis of the present world economic crisis, the reform plan identifies the seminal role of “financial speculation” and “unlimited credit” which have had such a devastating effect on the real “productive” economy. The authors point to the role of an “ethical breakdown” which is occurring at all levels of a world system increasingly dominated by avarice and corruption. In keeping with past encyclicals, their study attributes many of our current ills to the doctrine of “economic liberalism” based they say, on “utilitarianism and materialism.” The statement emphasizes restoring the moral dimension to the ongoing efforts to resolve the world crisis by establishing fairness and justice among all nations, developed and underdeveloped. The Vatican statement is entirely consistent with past Catholic teachings in particular the social encyclical of Pope Benedict XVI as well as other Catholic social encyclicals beginning with Rerum Novarum in 1893. Certainly, the most controversial part of the outline written by the Pontifical Council for Peace and Justice (PCPJ), is a proposal to establish a world authority to usher in a more just, and sustainable path for world economic development. The authors stress that such a coordinating body would be “the outcome of a free and shared agreement”, designed to incorporate the interests of billions of people around the world, including those in numerous nations and cultures that have little influence in such affairs. As expected, the national media’s response was pessimistic and dismissive. Most of the financial press simply chose to ignore the Council’s unwelcome but needed advice. The document begins by noting that every “individual in every community” shares a responsibility in promoting the common good. The current world economic system has entered a “grave economic and financial crisis which the authors say stems from multiple causes linked to a “breakdown” in ethics. One of the seminal factors in the crisis is the crucial role played by monetary and financial markets which are increasingly divorced from the real economy of goods and services. “In material goods markets,” the Council stated, “natural factors and productive capacity as well as labor in all its any forms set quantitative limits” which permit an efficient allocation of resources. However, monetary and financial markets are an exception and without proper regulation can take off like a runaway freight train. “A world of increasing interconnected economies requires greater cooperation – but everywhere there is a fragmentation of power and purpose.” The crisis has spread to Europ eand could easily mushroom into a world catastrophe. “A liberalist approach,” which rejects prudent public intervention in the market, says the Council has had devastating effects on the real economy, employment, production and international trade. With the worst damage likely on the way, the total costs are devastating – not only for millions in the developed (richer) countries, but for billions in the developing sector. In those nations there are still more than 1 billion people surviving on little more than $1 per day. To give one example, England’s former leader Gordon Brown relates that the total value of world derivatives (mostly speculative wagers) had grown to an unfathomable figure of over $500 Trillion by 2008. That sum is 12 times the entire world’s yearly economic output! The idea that modern economic theory needs a significant makeover is among many fundamental insights which are usually overlooked or misunderstood by all but a few commentators and financial journalists – most of who would benefit from a close reading of the analysis. Writing in the website Catholic Culture, Phillip Lawler praised the analysis for affirming that “utilitarian standards are inadequate to define the common good.” However he and several other Catholic writers remain skeptical of the proposals for economic reform. Mr. Lawler advised the Council to, “leave economic analysis to the economists.” As the world crisis unfolds the need for moral guidelines, although more and more important, is often cast aside by the elites and political leaders. We are reminded, by the Pontifical Council of the account of the Tower of Babel in Genesis 11 – an apt metaphor for the current crisis. The Bible warns that “diversity of peoples can turn into a vehicle for selfishness and an instrument of division.” For many reasons, it is essential that the ideas of the Catholic social encyclicals are circulated widely. We need a spirit of confidence to overcome the spread of confusion and despair – one that affirms that viable solutions with ethical guidelines can emerge. While no one should believe we can convert any world system into a utopia, we can strive for international relations and transparent institutions that will provide better opportunity – including a fairer distribution of wealth, and more universal access to economic development. The Church can’t be indifferent or remain silent at this critical time. An outlook based on truth and on the vital message of the Gospels is indispensible and represents the voice of reason. David J. Peterson has a degree in economics and is a high school teacher in Chicago, IL. He is the author of Revoking the Moral Order, 1999 and he has written articles for the American Conservative, the New Oxford Review, the Wanderer among other magazines. Who Gives a Hoot About the 1%?